Just noticed that the del.icio.us logo looks a little scarry tonight. Alexandra Samuels has posted a fabulous article with that title. Khmer Open Source Blog Community: Linux Distribution? The Khmer Open Source Software project has a blog community. One of the recent topics being discussed is: "What is the best Linux distribution for Cambodia?" Have some thoughts or advice, the thread is in English so stop by and comment. The room was packed and it wasn’t because of the free pizza. Clearly the people in the room were del.icio.us groupies, including me. I arrived early so I could get a good seat, which paid off because I was close enough to Schachter that I video taped his elevator speech and got a business card, too! He was pleased again to hear about the nptech, too. Weinberger: “There is huge excitement around the social aspect of del.icio.us and yet as you say the tool is also for an individual to help remember where something is, as a business going forward how will you balance the individual versus the social/group? Schachter, “Exactly, think of tags as votes. You’re doing it for yourself, but the good of the group. Delicious is about memory first, discovery second. Schachter said there are new features coming that are more social or will be group oriented. The first one will be the ability to pick out people for my network and the other will be private groups or private tagging networks. Both of the features have a chance of altering delicious. Then it was opened up for questions -- that were as wide ranging as the answers ... Some interesting tidbits. Schachter watches how people use (and abuse) the system and makes changes based on that. You can tag something with for:person or delicious account. There 2-3 spam incidents a week. We have an abuse monitor. I let activity happened, and then I figure out the activity and compensate the system. It’s a reactive approach. The type of spam that is happening now is posting and deleting to stay on the front page. If I quickly block people off, when aggressive spammers come to the system, I’ll make so that site can’t be bookmarked. I block it form everyone. Why doesn’t spam happen a lot more? Right now, delicious blocks out google page reference and spammers want to get page rank. So, spammers don’t bother. If you want to get the data, talk to Joshua. He asks: “Is it taking money away from me?” There are ways people could make money from extracting the data and there are safeguards to prevent that. When the user “Types Some Stuff In (TSSI)” and if I could only search as tags, I wouldn’t necessarily find everything. People search differently than they tag. The other part of del.icio.us is discovery. O’Reilly now has a link that lets people bookmark an article into delicious (see here for example). But they have gotten too busy to analyze the information. Right now Technorati picks up the RSS for a tag. For example, we get 15 million hits a day and only 1 million were hits from Technorati. They only drive only 400 hits back). I’m not pleased. I don’t know what to do about it. Are there a large number of people collecting large collections versus using it? There are people using it who aren’t users. How much of data do you have? Lots and lots, Tens of millions of posts, 100,000 people. 500,000 unique tags. Can you analyze the speed? He is working on finding early finders. If you bookmark something and than 1,000 people bookmark. If you bookmark something six months ago and over time more people bookmark it? The second phase of the World Summit on the Information Society (WSIS) will be taking place next month Tunsia. WSIS has just released a special report "Information Society: The Next Steps" that looks at how the ICT landscape is changing in the developing world and what lies ahead. Experts from governments, donors, NGOs and the private sector speak out about effective policies, promising applications and innovative business models. Check out the section on blogs and wikis. International Open Source Network: An online comunity of open source advocates working in the Asia-Pacific Region. A case study is also available. Khmer Open Source Software Project is not just technical, but cultural too. I got an email from Teresa Crawford who is working with Aspiration on a software survey. I just took the survey, it didn't take much time at all. And, if you complete the survey, you're entered into a drawing for a Treo 650. Aspiration is conducting the first-ever 'Nonprofit Software Survey' of those making decisions about software solutions in and for nonprofits and NGOs around the world. We want to learn how organizations and their technology support look for appropriate software for nonprofit work, evaluate software options, and decide which tools to use. minutes to complete the survey. staff and decision makers in your network. We did a few experiments in the Full Circle on Audio as Conversation and some of the tangents included some vlog posts, but here's a new forum set up at vlogdir that can embed video and mp3 in messages. Just heard via email from SJ Klein. I feel like we won the World Series again! At the NTC Conference in Oakland in 2003, Compasspoint presented a workshop with the same title and it was packed and got rave reviews. I'm sure the book is excellent. Here's the description from the Web Site. At the NTC in Boston there were vendors in the hall way, including Macromedia. Since I had been playing with screencast software, Captivate, from Macromedia, I stopped by to put my card in the raffle for a copy of Studio and listened to the pitch. They are selling Breeze, "a rich web communication system that lets you reach your audience anytime with engaging multimedia content." A high-end program. They had a special handout geared for large nonprofits and this case study about how the United Way has used it. 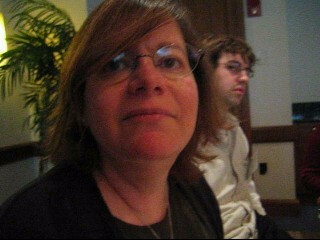 The theme of NTC Boston2005 was "Enabling Technology Funding: Issues for Grantmakers and Grantseekers." The keynote was presented by George McCully, President, Catalogue for Philthanthropy. This gentleman looks like a Harvard professor, with his red bow-tie and eminent presence. His sense of humor was very subtle. Some of his quips made me do a double-take because you wouldn't expect such subversive things to be uttered from someone who looked so distinguished. For example, "I’m a trustee of a small family foundation, not by family, thank god.” "Anyone who donates to Harvard is an alumni or social climber." He gave a history of his work with the Catalogue for Philthanthropy -- which is much better described on their web site than in my notes. He presented the new/old paradigm for philanthropy for individual donors. He spoke about how the demographics of wealth has changed and fundraisers need to pay increasing attention to individual donors. In the last five years, 1,000 private foundations have been created in MA. The new foundations are the ones to go after. Most aren’t staffed. They view philanthropy as is an extension of their investment stock. They don’t have any moral obligation at all to donate, thank you very much. They worked hard for their money and they want to decide who to give to. “Prometheus – through his mankind loving character - and it isn’t clear if he loves humanity or actual people – gave people the gift of fire, symbolizing all the arts that mortals have. When I say arts, I mean it very broadly – science, craft, not just performing arts. He gave us optimism. Unless you are optimistic, what’s the point of giving? Prometheus means foresight. He gave to humans this point of view and the tools to make us civilized. Philanthropy was considered an extension of this. -- working to improve the human condition because you believe in humanity. However, no good deed goes unpunished. As we know, Prometheus was chained to a mountain. So be careful what good deeds you do. Eventually he reconciled with Zeus. So philanthropy is an education about human development." He spoke future plans to be able to map that information strategically to help make giving decisions. 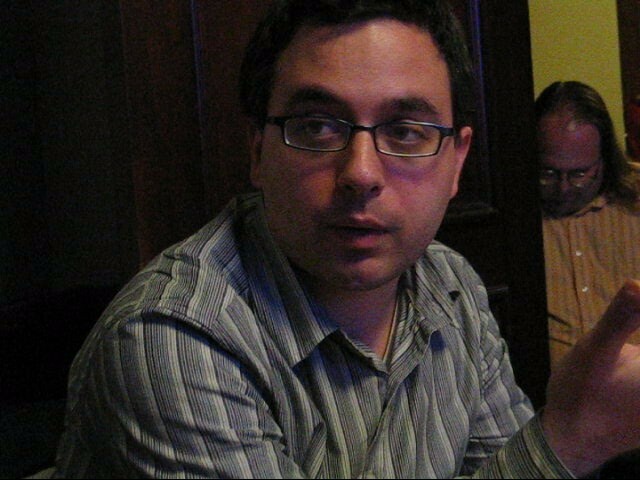 When I heard that TechSoup will be hosting an online about Web 2.0 and Nonprofits on Oct. 24th and that Michael Stein was one of the co-hosts, I assumed (wrongly) that it was Michael Stein, Internet Strategist from Oakland, CA. 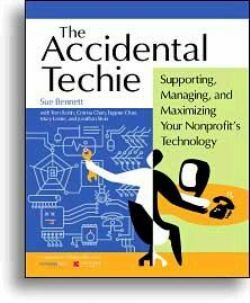 But in an email this morning pointing out my, gasp, mistake, I learned that there were two nonprofit technology consultants named Michael Stein! 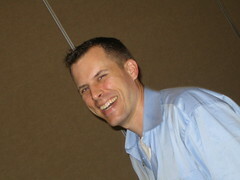 And, the one who lives on the East Coast, this Michael Stein is the co-host! I view mistakes as opportunities, so I took this chance to do an interview with Michael Stein (east) and perhaps help avoid any name confusion (at least on my part). Can you describe your work in the nonprofit technology field? I'm a techie by origin, having studied physics at MIT. My first computer experience was with an IBM1130, a machine the size of a washer/dryer combo, with a whopping 16K of memory! 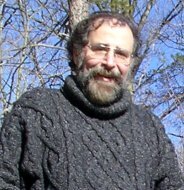 In the early 1980s, I began writing software programs for friends in various nonprofits organizations located in an office building where I rented office space. My first clients were "solidarity" groups. Gradually and actually pretty much by accident other organizations found us and we eventually had a very diverse clientele. Along the line we incorporated it as MEMBERS ONLY SOFTWARE. Out of all this work, a software application was born, called MEMBERS ONLY, a modular application for nonprofit CRM. We also do consulting. Do you often get confused with the other Michael Stein? Was I the only person on this planet who didn't know there two Michael Steins in the nonprofit technology field? It's a common name. I see five Michael Stein's (not counting myself) in my LinkedIn Network, for example. I've had two other previous work situations where I worked much more closely with someone named Michael Stein. This led to a LOT of confusion. In one case I was eventually known as Little Michael Stein and the other Old Michael Stein. That wasn’t a satisfactory resolution to name confusion. But I guess it is pretty odd that there are two Michael Steins who work in the same field. I first met Michael by googling for myself and whoa! He sounds a lot like me! So I dropped him a note. Every now and then someone sends me an email clearly mistaking me for the other Michael Stein. Why are you interested in Web 2.0 and nonprofits? If you read my blog entries here and here, I have an ambivalence about how important some of these developments are for non-profits at the moment. While Web 2.0 tools take collaboration and information sharing to a whole new level, the non-profits I work with have nuts and bolts Information Systems issues that are, and should be high priorities. For organizations that are ready, I am eager to help them explore these tools. There are a number of discrete pieces that make up Web2.0., programming techniques, tagging and social bookmarking, blogging and they need to be looked at separately. Even if an organization could benefit from these tools to solve a priority problem, there is an education effort needed. I was at YMCA of the USA Technology conference this week. When I suggested in a workshop that blogging was a natural for a YMCA, whose mission involves community building, I heard uniform resistance. Several people framed blogging as a negative -- that it would raise traffic to their web sites and increase bandwidth costs. So there is really a different understanding of what an Internet presence really means, what it can accomplish for an organization. What advice would you give to nonprofits who are actually interested in exploring Web 2.0 tools? I'd focus on tools that are meeting a need, "resolving a pain point." I think collaborative tools like Wikis or Writely are worth exploring. Everyone knows the nuisance of emailing around a doc and then having to collate everyone's edits. Wikis or Writely can certainly be more efficient. Despite what I report in the paragraph above, I'm still an evangelist for nonprofit blogging. It makes you SO much more visible. I'd also invite people to look into Ajax and related approaches when they are updating the interactive parts of their website to move their ecommerce look and feel forward. My users are very concerned about the experience their supporters have on their website when buying something or registering for an event, and these tools can make a real contribution. I think the excitement over tagging is lost on most of the folks I work with - they just do not see the "conversation" on the Internet as a major part of what they do. And those staff members who do are far removed from the IT staff - so IT is not supporting their effort with an organization-wide plan. Deborah Finn is famous in Boston nonprofit technology circles for knowing almost everyone and being able to introduce people who stand or sit near her. So, I was astonished to be able to capture this rare moment at the NTC Conference. 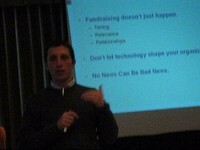 Brian Reich of Mindshare Interactive Campaigns gave an excellent presentation on Internet/Online Strategies. The video clip of Brian repeating our mantra, "Think about the tools last!" Online auction anecdote: He shared a story about an organization that had received a donation of toilet paper for an event 12 months before the event. The organization didn’t have any place to store it! (It was a lot of toilet paper). This type of stuff can be auctioned online. Unfortunately, the organization didn’t sell the toilet paper online because they were afraid they wouldn’t have toilet paper for the event. Mobile tools are the future of how people will get information. Mobile phones stay on. How does/that leverage into fundraising? Right now, not much going in US. So, as a first step, organizations should be at least collecting mobile phone numbers in their databases. He mentioned that “short code fundraising” – that someone could punch in a number on their cell phone and make a donation to a charity. Some money for Katrina came in this way. Unicef in Greece raised $6 million euros for tsunami. People were calling cell phone 5 or 6 times to make a donation. The campaign was about 1 month. Also mentioned that selling ring tones is a way to raise money. People that buy ringtones are heavy users. Bono/Live Aid Concert – concert in London, Flagship concert – did a lottery via mobile phones. Text your support and you get entered. Emailed your code and you showed your phone to get in. At U2 concerts, text message and spool it on the screen. Provided some stats on Internet ads, “even though we find them annoying, they can make money.” Target ads aligned with news cycle are viewed more favorably and if ad is placed next to relevant news article more likely to click. Defined CRM as a tool and a piece of technology that allows you to collect and manage people in your universe. Way of life. CRM is about personalizing content and communication to your audience. You can talk to cat people about cat people. If you’re a dog owner and someone talks about cats, you tune out. Most orgs don’t segment. People tune out if they don’t see something personally relevant to them. It takes work and time. You can’t just put a “donate button” on your site and expect to raise money. CRMs can help with organizational efficiency – multiple people in the organization can communicate with audience in different ways. Smart organizations balance good content and communication with what the organization is doing with fundraising request. Going into it without a strategy – isn’t sustainable! Laws/Regulations/Bookkeeping Hire a lawyer as part of your strategy – don’t break the laws – there is information you need to collect, security/regulations, if you’re raising money out-of-state, international fundraising has even more regulations. Processing and recording of gifts, be careful of regulations. Established vendors have experience with other clients and lawyers on the regulations and rules and can help. Can’t Spam regulations – turn to a lawyer? Can’t Spam requires you to have a physical mailing address, opt out of every mail and be responsive, registered domain and bunch of other things, only allowed to email to people who have opted into your list. Not of the methods are easy or cost-effective Can contact them – we’d love to had you stay on the mailing list, click here to get on the list and then if they don’t get rid of them. Still in a grace period for Can’t Spam. If you’ve been existing in a homegrown database, you need get people to opt in. Expect that you will loose some people during the transition 50-60% will drop off. Constant contact is cheap and good for organizations with under 10,000 names. Does the can’t spam work. Over 10K, need to invest in a system with robust features that allow you to track. Deliverability – 80% of communications is done via email. Most value thing you can have is a person’s email and permission to use. You must have that email get delivered. Server level: Did it bounce back? Did it get passed into a spam folder. Find tools that help you get into people’s inboxes. Constant contact is great for that. 35% of email goes into spam filter, most people don’t check spam filters. He knows this because he has different email addresses: yahoo, gmail, hotmail, aol and watches the spam folder. Choose a tool with deliverability rates – anything less than 97% - the tool isn’t using its job. So, I'm summarizing our distributed conversation, with the hope that some folks might add their , ask questions, or share observations. This is an experiment on my part to see if distributed conversation can transcend the containers (blogs, listservs, etc) and how. If you are new, start at the beginning. If you've been following the conversation and want to say something, here's your chance. This post was my reflection after taking a fabulous online workshop with Nancy White that included a link to Steve Shu's post and a question about "Can Community Blogs be facilitated?" Steve and I exchanged a quick comments about online facilitation practice and community design in community blogs. 2: Learnings on Facilitating a Blog Community This post is rich with insights about this topic. It covers human, organizational, and technical points. 3: Steve Shu's Learnings make me wonder I summarized Steve's post and mused a bit more techniques for threading cross-blog conversations, connections to offline-communities, and discussed whether forums were better for interaction than blogs. We also talked about how blogging is still relatively new for many people, especially nonprofits and that other channels are needed.Nancy White and Joistke H chimed in with questions and pointers. 4. What a fabulous discussion with Steve, care to join us? We talked further about the techniques for adding more s to the conversation and whether or not tags could help thread or engage more people. Looks like Netsquared is morphing before our eyes. Case study content is beginning to appear, some of it developed by fellow Boston area nptecher, Deborah Finn. Hey, What's That Guy's Orange Hat Say? What a fabulous cross-blog discussion about cross blog discussion, care to join us? I'm really enjoying this conversation with Steve Shu. Want to begin at the beginning? Start here. After the second thread, Steve wrote an incredible post about blog community facilitation learning. I asked him some questions about connections between offline/online communities and how to encourage non-bloggers into a blogging community. Steve answered my questions both in a comment and back over at his blog. * Blogs compliment offline relationships because they help archive and trace out a discussion and because they occur ascychronously. * Blog commuities that tend to work have more of a peer-to-peer relationship versus an expert leader with a flock. He's written about this topic here. * To attract non-bloggers to a blog community, a combination of other tools are needed to raise awareness of blogging and other Web 2.0 tools. Steve shares his presentation to a group of nonprofits in Dallas. "Many chronic (illness) bloggers (joke) are early adopters and know how to integrate and use a bunch of tools. Many people are not so early on the curve though. We also need good blog jargon translation skills. .... to accelerate the dialogue and avoid barriers for those trying to learn." On the Vlogging list, there is an interesting thread on Citizen Journalism as part of a class at Temple University Film and Media Arts Department on Multimedia Production. The class is taught by Jen Simmons. She assigned students to watch some Citizen Journalism vlogs and post their criticism. There was one particular quote: "And yeah I learned a few things, one being that not just anyone can be a citizen journalist because a little bit of talent and creativity is required." In the thread, one person pointed to Verdi's Video Workshop where people are giving reflective criticism on the vlog genre. 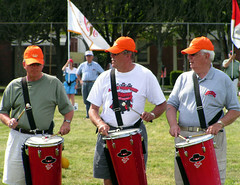 A link on the side, lead me to Liz Lerman's article about "Critical Response Feedback" on the Community Arts Web site. Poking around, I stumbled across the fairly new Community Arts Network blog, the authors are Linda Frye Burnham and Steven Durland, artists and Internet pioneers from the old Arts Wire days. Another resource to check out: Weblogs: Learning in Public by Jill Walker. Meet Phil Anthropod from Planet Claire. He writes a blog called "Hail Sons and Daughters from Carnegie"
I currently work at a medium-sized, east coast foundation. The views expressed in this blog are mine and not necessarily—or even likely—those of my employer. I prefer to write anonymously so I can spare my employer possible embarrassment. Writing anonymously also frees me from the immoderate politeness that often stifles debate in our sector. A typepad blog isn't necessarily anonymous. (I learned this from having just helped some Cambodian bloggers who want to write their criticisms of the government without an AK47 in their face and researched options for anonymous blogging.) Read Ethan Zuckerman's Guide to Anonymous Blogging or this chapter from the Handbook for Bloggers and Cyber-Dissidents from Reporters Without Borders. The community must have some sort of nurturing structure for bloggers who are new to blogging or the conversation has no where to go and the community no where to grow. If a blogging community is successful and does take off, it is critical to optimize navigation to encourage activity. What he describes is a herd instinct -- pointing people over to where there is a lot of dialogue between blogs. Like online forums, some benefit from being public and totally open to some being closed. The technology should have this feature, but deciding on when to flick the switch depends on the context and content of the discussion. Steve provides some examples. Blog communities organized around lifecycles of members versus topic specific work better. 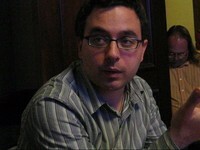 Steve, I'm wondering if you have any experience with how blog communities integrate offline relationships? Also wondering, if community's intention is to raise awareness of blogging and other tools, what special challenges does that pose?